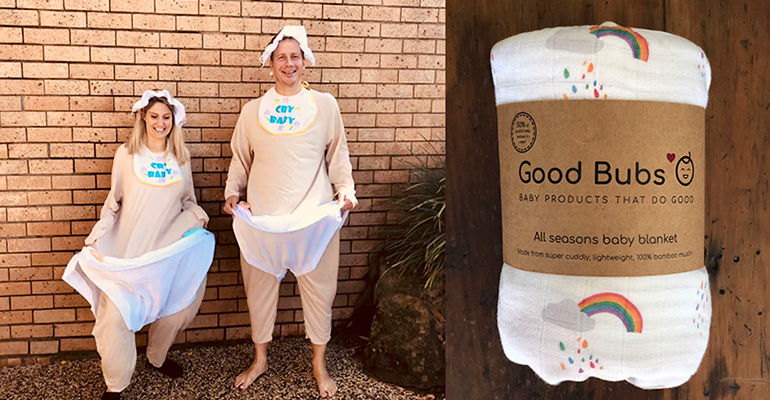 Founders of a social enterprise selling baby gifts to support babies in need have launched a novel crowdfunding campaign to get their business up and running – swapping their everyday clothes for giant baby costumes while they look to raise $15,000. Kailly and Rich Hill set up their social enterprise, Good Bubs, aiming to help more babies have a fair start in life. “After we had our daughter last year, we realised how fortunate we were to have an uncomplicated pregnancy and birth and to be able to give our daughter everything she needed for a healthy, happy start in life,” Kailly said. “We also believe that business is changing. Consumers increasingly want to buy from companies that have a positive impact on society. To get the enterprise off the ground, Kailly and Rich will dress in giant baby costumes for four weeks, or until they raise the $15,000 needed to fund their first bulk order – baby blankets and burp cloths. They will wear the costumes everywhere they go, whether this be on their commute to work, their trip to the supermarket, or dropping their daughter off at childcare. “We’ve done a lot of consumer research, perfected our samples, and we’ve had a lot of interest in our products and business model,” Rich said. 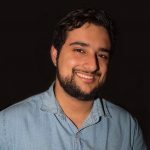 Those interested in the campaign can find out more on Good Bubs’ crowdfunding page.